Loyalists to President Barack Obama’s “transformative” agenda to remake America had “everything to lose” if his radical agenda was reversed, analyst Monica Crowley said. “Obama created a climate in which the potentially criminal misuse of the DOJ and the FBI, as currently being unraveled, was not just acceptable but perhaps encouraged, thereby giving rise to what could be the most dangerous scandal in American history,” Crowley, senior fellow at the London Center for Policy Research, wrote for The Hill. It is a stretch to believe that Obama administration figures caught up in the current Department of Justice (DOJ), FBI, FISA scandals “freelanced their activities,” Crowley wrote. Those enlisted in the effort, Crowley noted, included James Comey, Loretta Lynch, Andrew McCabe, Andrew Weissmann, Sally Yates, Peter Strzok, Lisa Page and Bruce Ohr. 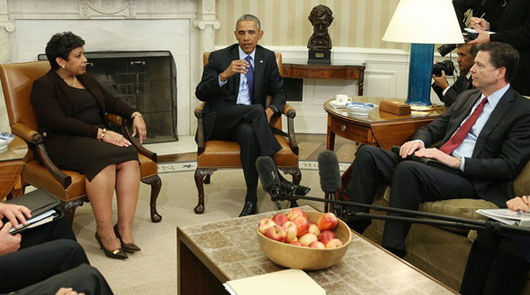 Obama and his allies “have never taken their eyes off the prize,” Crowley wrote. “They cannot allow their progressive gains to be erased (and replaced by far more successful economic and national security policies) and their history of abuses to be exposed. Having never expected a Trump victory, the Obama and Clinton squads have been throwing the kitchen sink at him in an effort to protect themselves – and to try to backstop their hard-won ‘transformative’ achievements.